This pattern is known as King’s X or King’s Cross, and it’s very easy to make. It can be foundation pieced over either fabric or paper, and the big block is composed of four equally-sized identical squares. 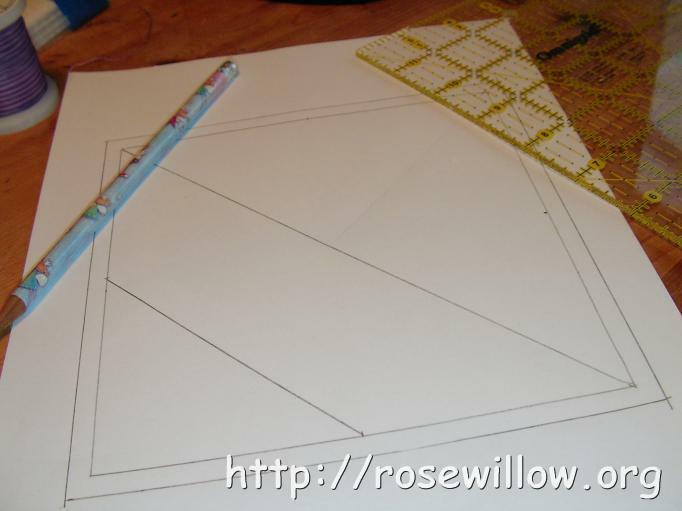 Decide on the size block desired and cut out four squares of muslin or paper. Mark a line down the centre of each square to make two halves. Then mark a line down the centre of each half to end up with four equal width strips. The corners will be triangles. I am using paper foundations, and I like to draw the 1/4-inch seam allowance on the pattern at this point. 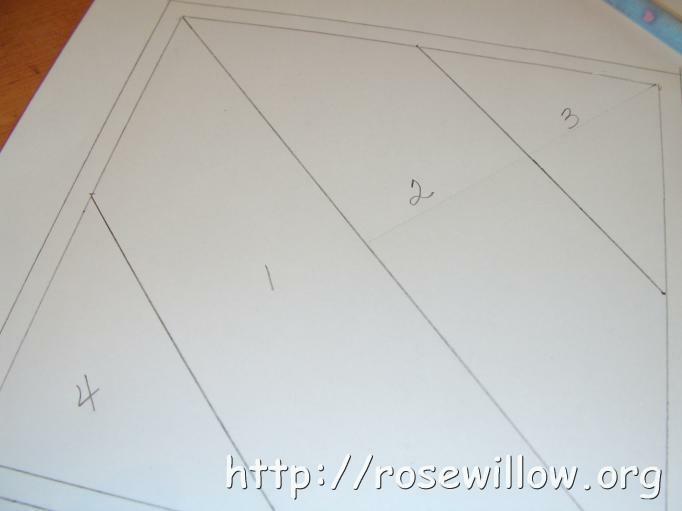 When using muslin, just cut the square larger to include seam allowances. Number the pattern pieces to keep the strips in the same order for each square. 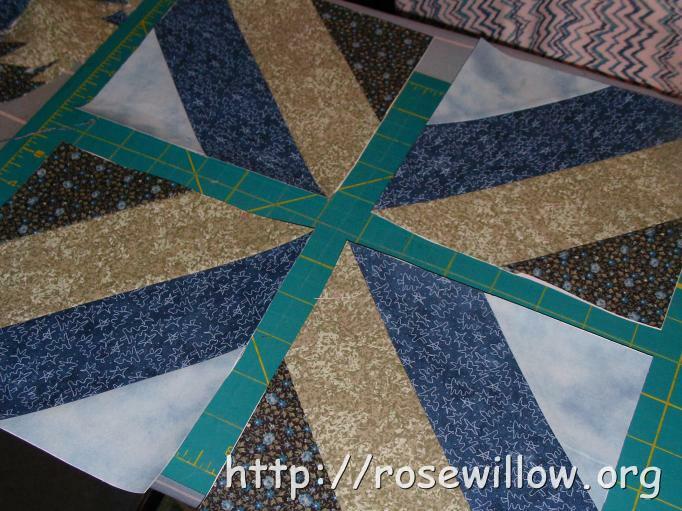 Sew fabric strips onto the foundations and make 4 squares. 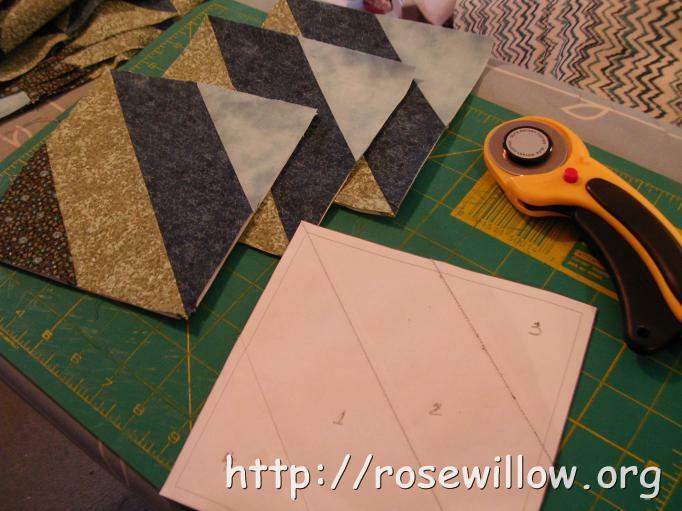 Trim squares to size. If using paper foundations, the papers can be removed now (very carefully), or removed when the block is completely assembled. and sew the squares together into the big blocks. 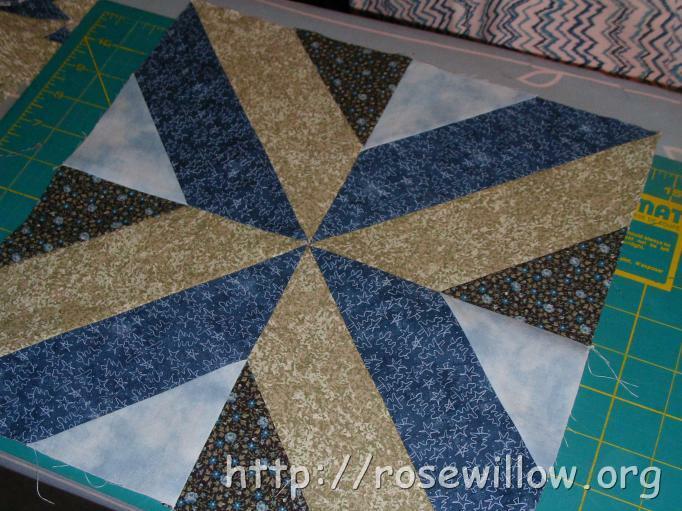 Join the big blocks together to make a quilt in the size desired. My quilt will be 6 big blocks by 8 big blocks and will measure 60×80 inches without borders. The small squares are 6.5 inches unfinished and will make a 12.5 inch block (unfinished) when assembled in groups of four. 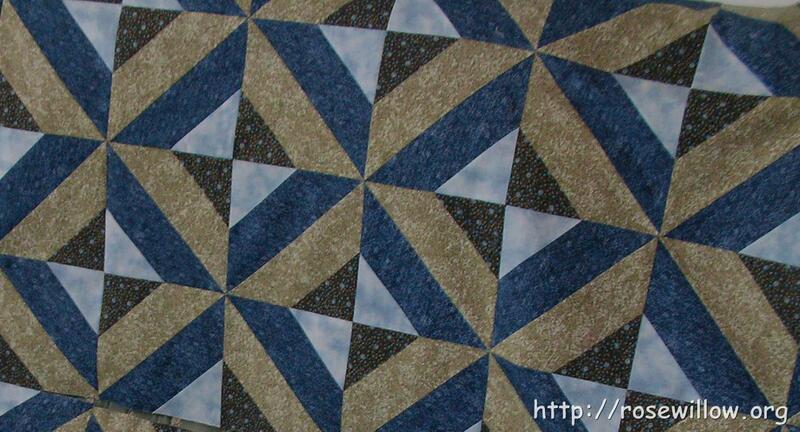 When my quilt is completed, I will add a photo here.